Has the search for winter boots left you feeling like you’re out in the cold? If you’re a Canadian, you know how important it is to find a comfortable and reliable pair of winter boots before the harshest season starts to kick in. As we start to focus our attention on going back-to-school, we quickly start to think forward to those dark, early mornings scraping the snow off of our cars. Looking for quality winter footwear can be something that takes a great amount of time and energy, and plenty of times you get your boots out in the snow only to find out that they just don’t measure up to the cold weather Canadians can encounter. I found out that this is not the case when it comes to purchasing a pair of winter boots by Cougar footwear. Cougar takes the risk out of buying winter boots. A family-owned business, Cougar Boots has been bringing you reliable footwear designed for Canadian winters since 1948. That’s over sixty years of experience in boot-making! Cougar boots are meant to be warm and water resistant options for men, women and children. Each Cougar boot is made differently, and with a different weather type in mind. They’re specifically designed and each one is lab-tested to be sure they’re keeping the heat around your feet. Cougar is so confident that your boots won’t leak within the first 6 months of use, they’re actually guaranteed not to leak. I feel that Cougar’s own website says it best when they say, “It’s hard to feel fashionable when you can’t feel your toes”. Cougar truly works hard for their reputation as a wonderfully Canadian boot-making company. You may already be familiar with the style of boot known as the Pillow Boot. Created in 1976, the Pillow Boot is an innovative signature of Cougar that took Canada by storm. Now redesigned for a modern twist, the Pillow Boot is back. At first glance, all I could think right off the bat was how comfortable and warm these look! Whether you’re wanting to create a fashion statement in the snow or looking to puddle jump through the mist and rain, you’ll love these amazingly functional boots from Cougar. I love the different colours and styles available from Cougar, but I especially love the ones created through the Pillow Boot line. You can tell just by looking at these amazing boots that they’re going to be warm and dry by the end of your long day. I am also always looking for a pair of winterized boots that are nearly knee length. 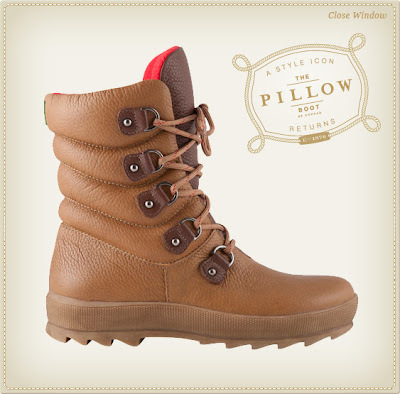 The Pillow Boot line offers this, but also a mid-calf and an ankle length version. 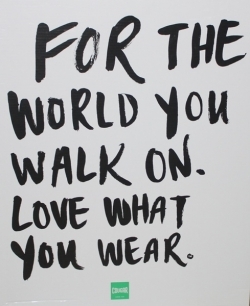 Indeed, the Pillow Boot has a style for anyone and everyone who is currently in the market for a great pair of boots. Cougar is a company that cares about the environment. With environmental concerns linked to the use of PVC, Cougar is currently working to eliminate PVC products from their boots, and already offer some amazing PVC-free options. With so many reasons to purchase Cougar, how can any Canadian resist checking out the wonderful options available for men, women and children? If you’ve been longing for a new pair of boots or you’re tired of your feet being left cold in the snow, maybe it’s time that you and your family considered joining the Cougar family. Thanks so much Lindsay Dianne for Guest posting!! Based off of the West Coast of British Columbia, Lindsay Dianne is the owner and operator of the Urban Momtographer; An All-Purpose Life Blog with a focus on healthy eating, parenting and shedding the processed life in the Canadian rain forest.